Design is design is not design. From prostheses to burqas to the Alpine tourism industry, the Design Biennale 2011 explored the definition of design. While the lighting was maddeningly dim, there were some truly standout presentations. The most impressive exhibit challenged the notion that great design should be invisible. In the app Phone Story, you explore the lifespan of a typical smartphone. Your first task is to mine coltan (a precious mineral essential for most electronic devices) from the heart of the Congo. 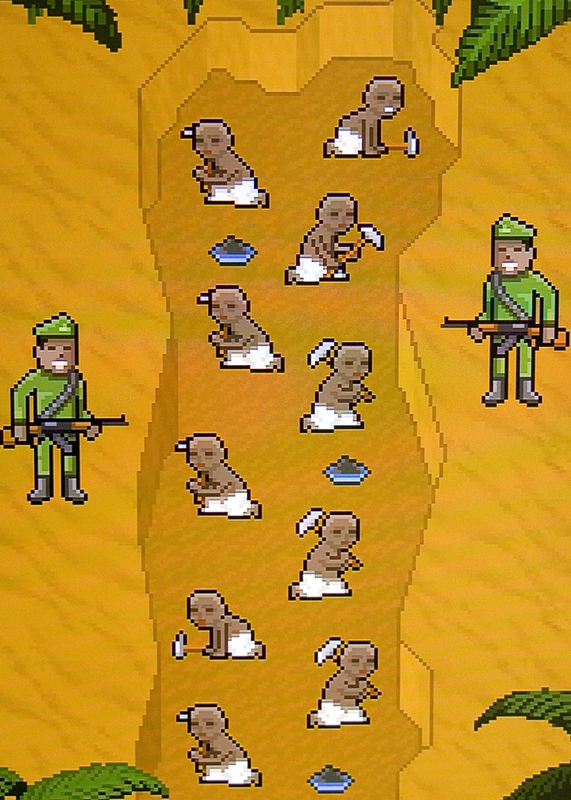 Under your watchful eye, child miners find themselves at gun point if they try to sneak a break. Next on the to-do list is saving suicidal factory workers hurtling off a manufacturing plant in Shenzhen, China before consigning e-waste to the appropriate ill-equipped sweatshop in Pakistan. Last of all, the newest merchandise must be distributed. If you are too slow, the hordes of customers will blindly run into the storefront windows and die. If your aim is just right, the enthusiastic purchaser will squeal with joy before disappearing. While the game is easy to play, it leaves the player feeling uneasy. Phone Story is a subversive, self-referencing app that reminds the player of the true price and origin of the smartphone under their fingertips. 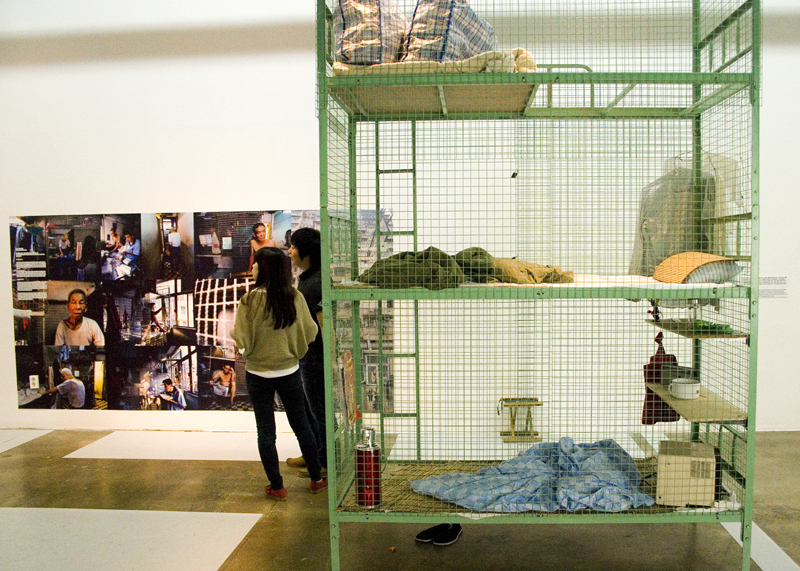 Hong Kongese Cage Home showed a perverse reality of design- that of necessity. In the high demand for space, immigrants and geriatric paupers in Hong Kong live in small steel cages. While it might resemble a poultry penthouse and sound like science fiction, it is in fact a depressingly human reality. 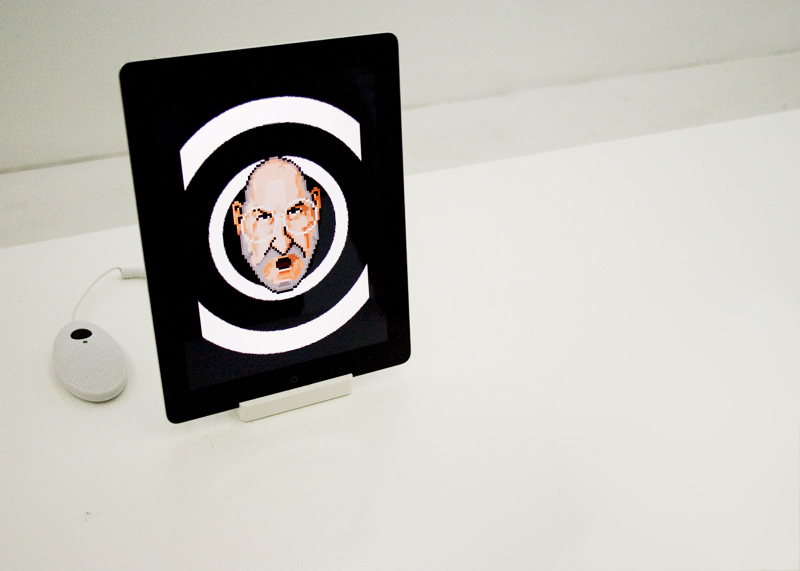 I also enjoyed a project called We Feel Fine by Jonathan Harris and Sep Kamvar. Everyday their website “harvests” around 15,000-20,000 blog entries that begin with either “I feel” or “I am feeling” and records them into an emotions database. Each entry is displayed as an individual particle that can be grouped according to age, gender, weather condition, emotion, location, or randomized. You could stumble across someone’s thoughts or research something as specific as the average outlook of females in their 20’s in New York. Aside from being an interesting social experiment, it makes one think twice about what they write on the internet. You never know what kind of moonlighting your words might be doing once you log off. How to get to the Gwangju Biennale Hall: From the express bus terminal take bus 16 or 48 to ‘Culture & Arts Center’. Walk up the street and the exhibition hall is located on the right hand side within the Jungoe Park Culture Belt. Would have really liked to have seen this. Good choice attending the event.